Heets Yellow Label is made with a smooth and finely stable tobacco blend. This box contains 10 packs of Heets sticks, with each packet containing 20 tobacco sticks, manufactured with specially selected tobacco. 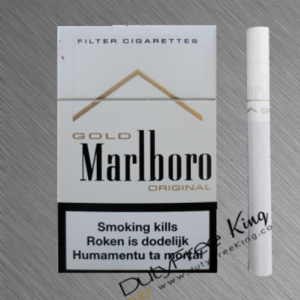 HeetsYellow Label sticks are comparable to MARLBORO Gold by taste. Heets Yellow tobacco sticks are one of three flavors create for use with IQOS. The Yellow are the middle-strength ( comparable to Marlboro Gold) of the collection. Just insert a HEETS stick in the IQOS Holder and press & hold the button till the LED light starts to flash green. When the light shines solid green the tobacco stick has then heat up to 350°C by the exactly controlled heating element inside the IQOS Holder and is ready to use. The device releases the tobacco flavoring through a nicotine-containing vapor, without burning or creating smoke. Appreciations to sophisticated electronics, IQOS heets especially designed heated tobacco parts up to 350°C, without burning, ash, fire, or smoke. That generates a flavorsome nicotine-containing vapor, delivering the real taste of heated tobacco. 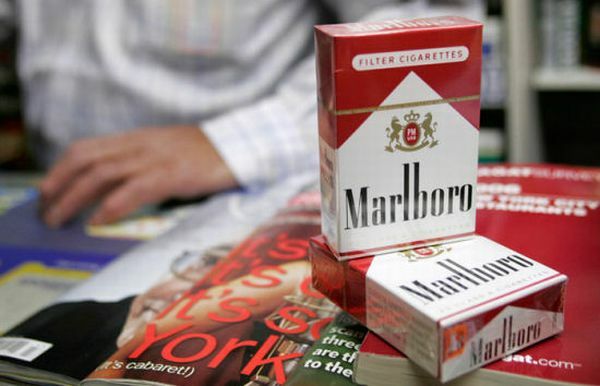 The event lasts about six minutes or 14 puffs, similar to that of a cigarette. As there is no burning, the levels of damaging chemicals are significantly reducing linked to cigarette smoke. Our studies on IQOS are advancing rapidly and show that it has the potential to present a limited risk of harm. Compared to extended smoking for smokers who change to it entirely instead of remaining to smoke. However, IQOS is not risk-free. 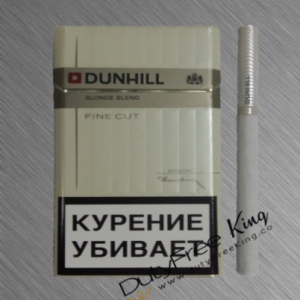 On the whole, you can comfortably order online at DutyFreeKing your original Heets Yellow Label freshly purchased from Philip Morris International. 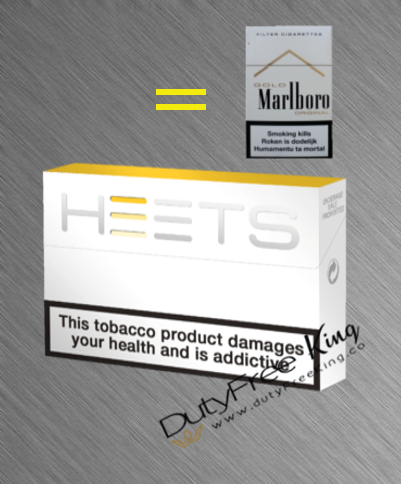 Enjoy the unique Heets Stick flavor Tax-Free delivered to your doorstep by DutyFreeKing the online cigarette store. Select from many different types of Heets Sticks.